The position and height of the hardware is completely dependent on what feels right and works best for you. 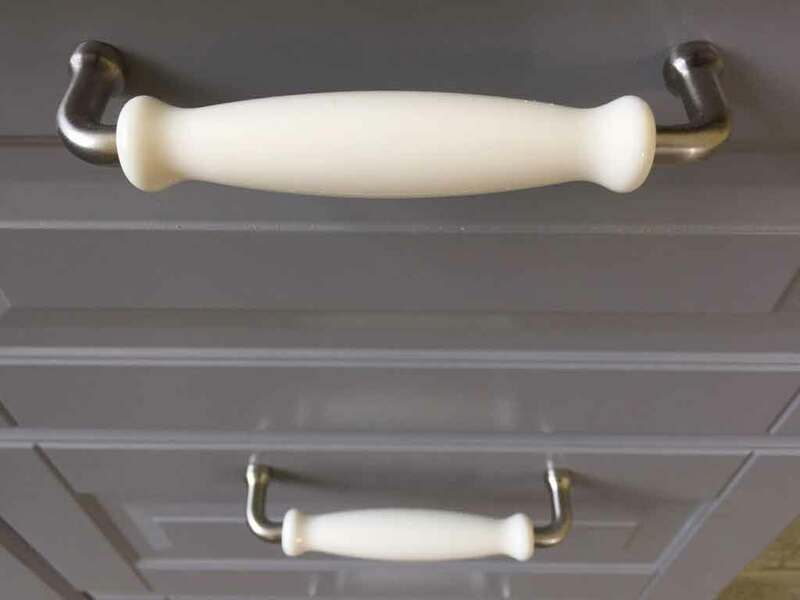 Some prefer to install knobs in the upper corner of the cabinet door, some prefer the knob to be lower down the door than the corner. 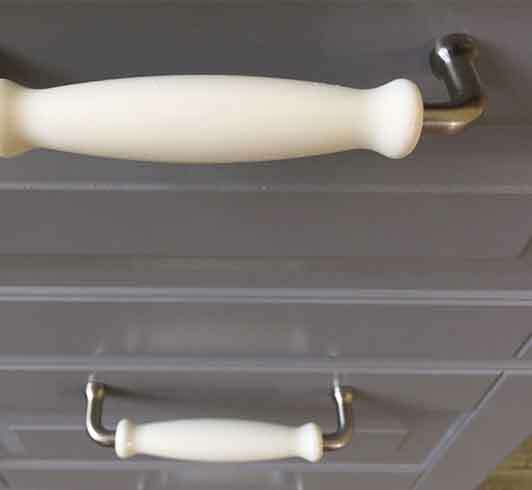 Some knobs can be installed in the middle of the door for a furniture look. 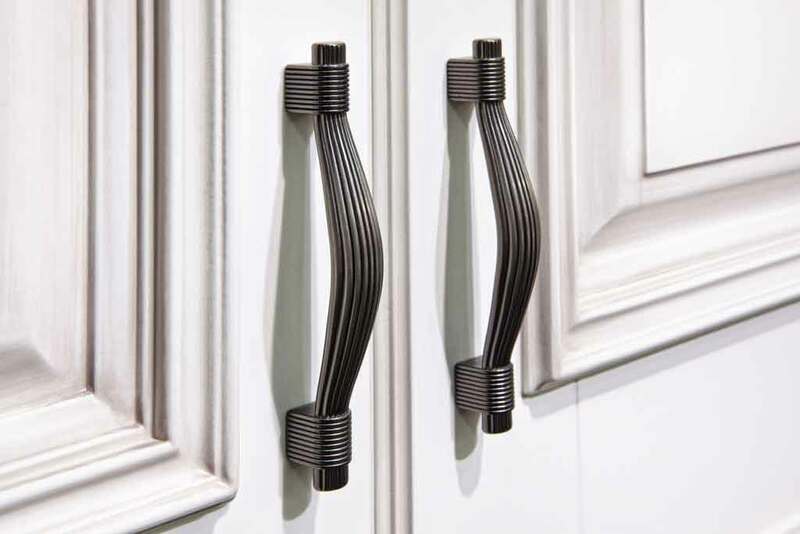 Types of hinges - Hinges may be hidden, self-closing or shown to be part of the look of the kitchen or bath. 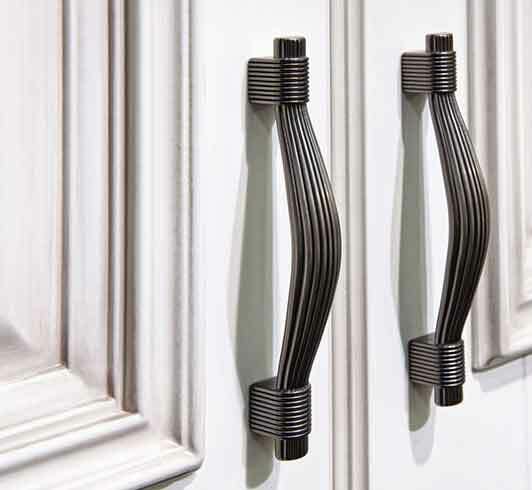 Face frame hinges or face mount hinges are partially concealed. The frame wing of the hinge is visible on the front of the frame. The knuckle and the pin are also visible. Many self-closing hinges are of this type. 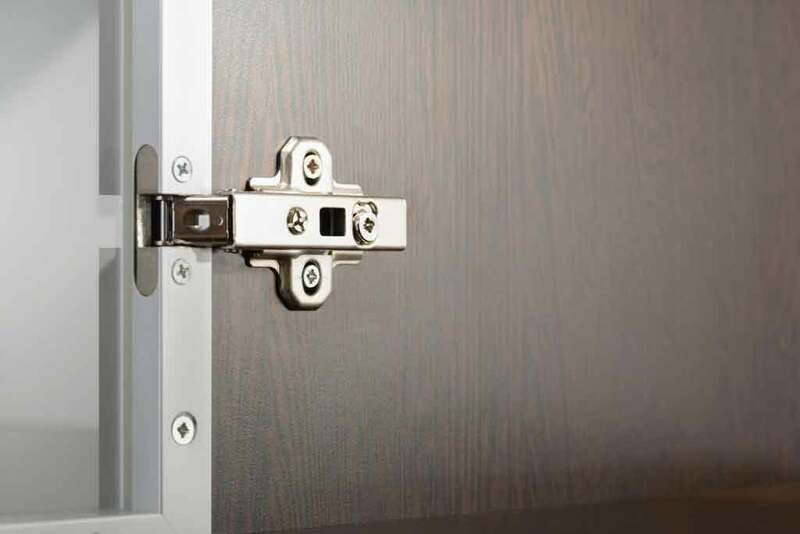 Self-closing hinges offer a knuckle and pin mechanism that produce a self-closing effect. The technology can be applied to a variety of configurations of the door and frame wings of the hinge.